Bidders returned to the first stamp auction of 2015 on the 7th of January full of New Year spirit. The auction got off to a fine start with the first 7 lots, comprising a superb British Colonial King George VI mint collection broken alphabetically, selling for a total of £14,661 (realisations include buyers premium of 18%) against estimates totalling £10,800. Not everything went to plan however. 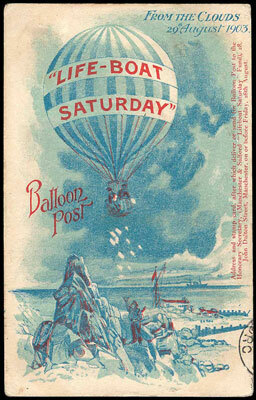 A fine range of rare Balloon flown postcards that had attracted a great deal of interest pre auction, went down like a lead balloon, with 2 collections of 11 cards & 12 cards being snapped up by a delighted phone bidder at reserve. The single cards were unsold. 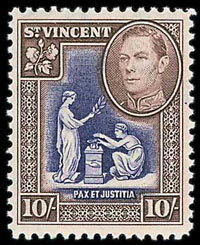 Of particular note in the Commonwealth section, a rarely seen St Vincent 1938-47 10/- UM with inverted watermark sold for £6,785, an impressive price bearing in mind the catalogue of £11,000. 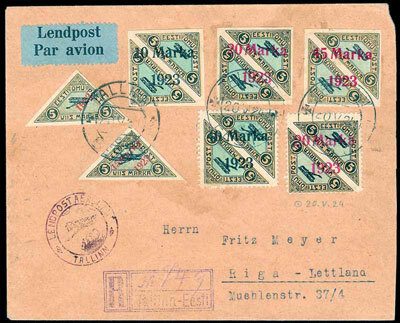 An increasingly popular area for foreign stamps collectors is the Baltic States countries and collections from Estonia, Latvia & Lithuania were all well received, particularly a range of Estonia flown covers. The auction boasted a particularly fine early GB section, virtually every lot sold and many achieved prices well above estimate. 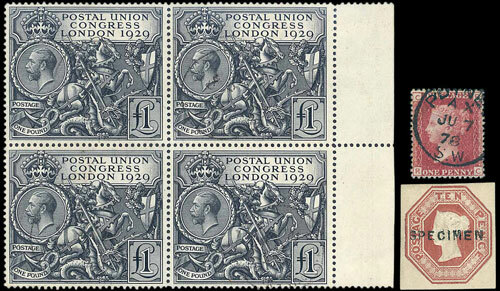 Lot 565 a mint QV collection, described as having ‘huge catalogue value’ sold for £11,210 (estimate £4,500), a collection of 120 early covers sold for £4,366 (estimate £2,000), a 1958-79 1d plate 225 used sold for £678 (estimate £300), and a 1929 PUC £1 used block of 4 sold for £1,534 (estimate £1,200). The ‘back of the book’ lots threw up some seasonal surprises with a QV to QE collection of Cinderellas including Exhibition labels, Railway stamps, revenues, etc, receiving the full glass slipper & ball treatment, with a realisation of £3,540 (estimate £300), and an unusual collection of College Stamps were sent up to a total of £4,484 from the estimate of £50. 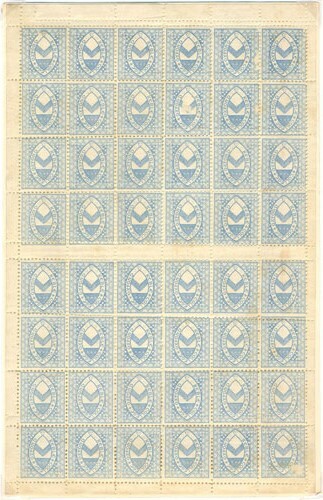 After that, who would claim that stamp auctions are predictable?